No Drivers are required for a Mac OSX computer. Mac OS standard audio drivers (Core Audio) will be automatically installed when the DDJ-Ergo is connected to a Mac computer with a USB cable. A Pro Infinity, a Plus or a Pro Subscription License is required to use the Pioneer DDJ-Ergo. 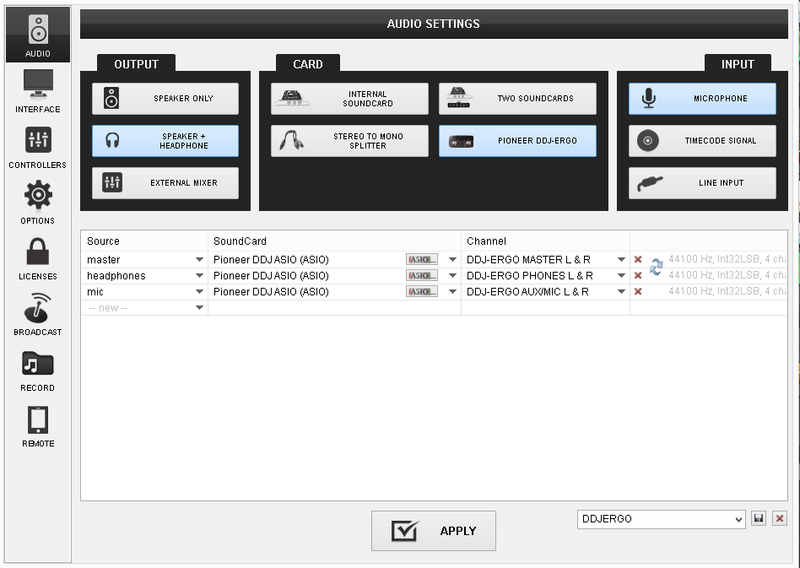 Without any of the above Licenses, the controller will operate for 10 minutes each time you restart VirtualDJ. A Pro Infinity or a PLUS license is required to customize the mapping of the unit.